Timber cladding is a perfect solution for anyone looking to create a modern and stylish building. It is a sustainable building material, with strong environmental and economic benefits. It is versatile and helps create unique and characterful buildings. We love using timber cladding here at NORclad and have helped our clients get the most out of using timber for over 40 years. 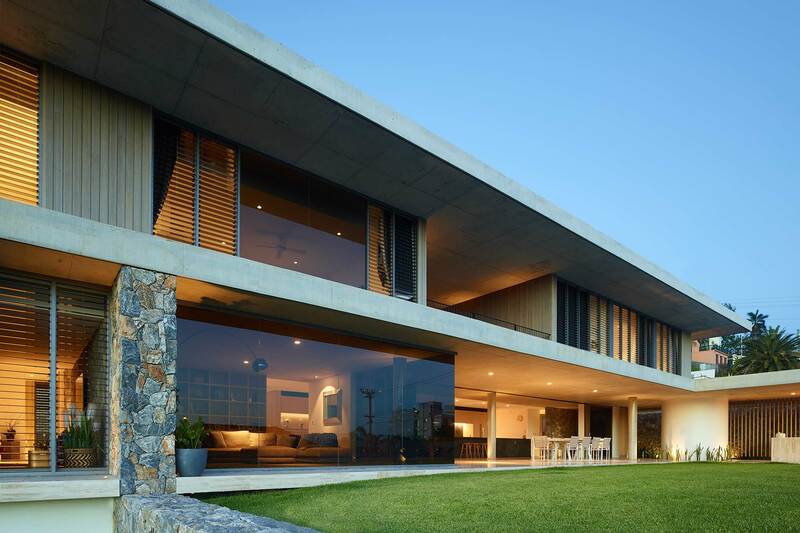 We are passionate about creating buildings that deliver remarkable results. Steeped in architectural history, timber has always played a part in construction and buildings. Today, it continues to play a vital role, allowing architects and designers to dream up and create stunning homes and commercial buildings. 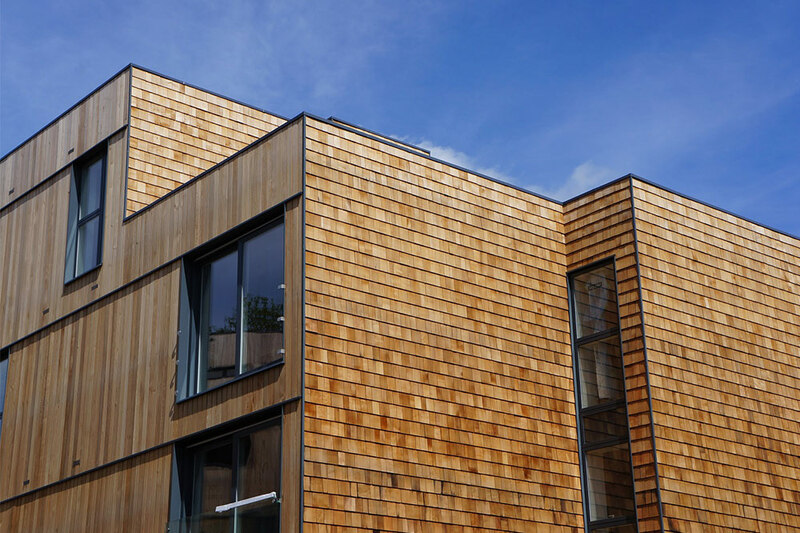 So, what does modern timber cladding look like and why should it be included in your building? The beauty of modern timber cladding is that it is arguably the most versatile and diverse building material. From charred larch and uneven reclaimed timber, to sleek, smooth timber panels, timber cladding comes in a wide variety. Depending on the architectural design, a certain timber species and style of cladding is likely to lend itself better for the project. 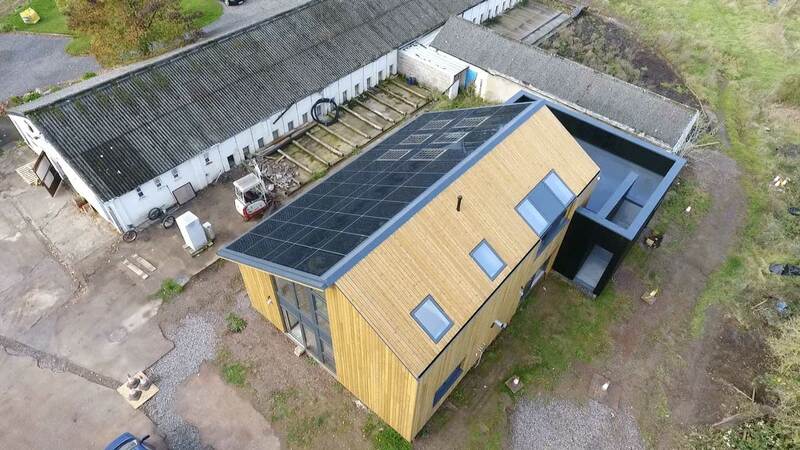 This means architects can really push the boundaries with their ideas and visions, as they have such a variety of timber cladding options to choose from. As a result, timber cladding continues to be selected for building projects as it is so useful for both designers and builders. Timber cladding can be utilised in so many ways. From cladding profiles, such as shiplap to tongue and groove, to the shapes and designs an architect creates with the cladding, timber is synonymous with creativity and innovation. 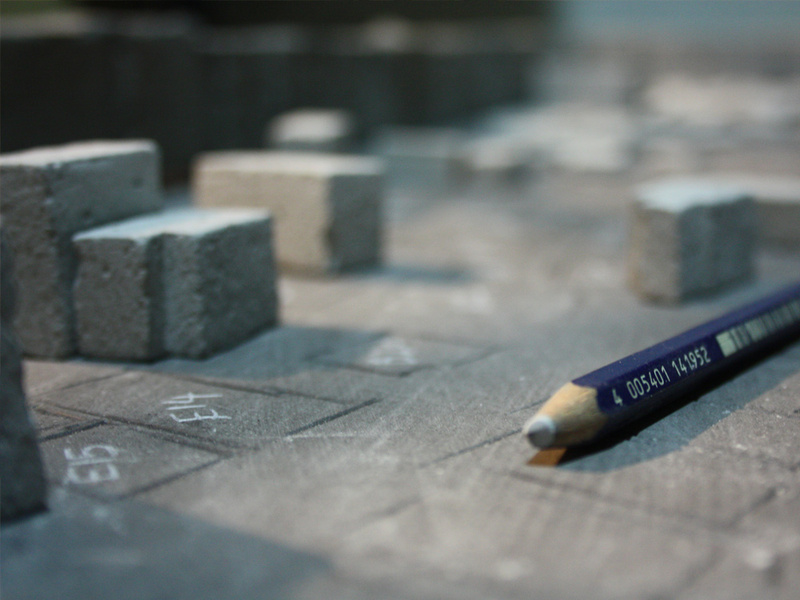 It’s very easy for an architect to bring a vision to life when using such a diverse material. This simply isn’t possible when using other building materials that can’t be re-imaged as much. 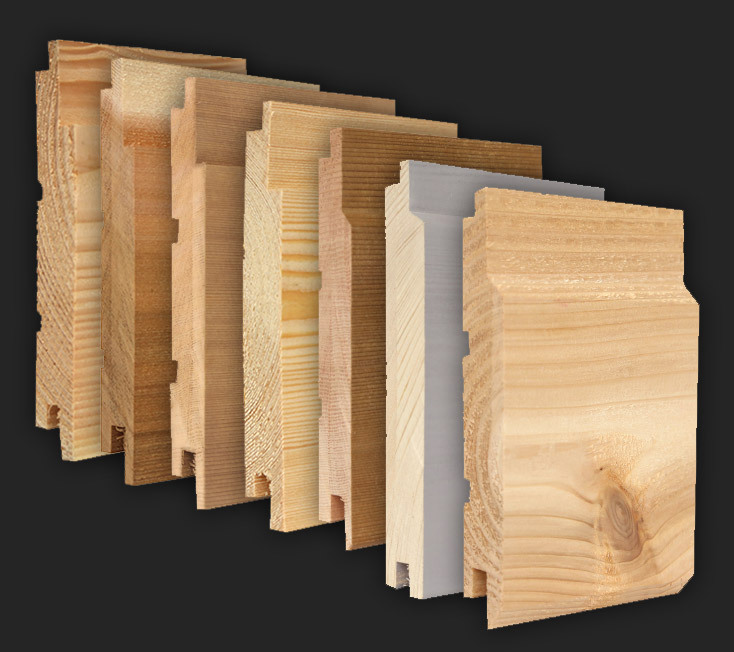 When thinking about using a timber species, don’t hesitate to get in touch with our expert team. We can help advice on which species would be better suited for your specific project aims. Certain species offer characteristics and properties that may help provide further benefits for your build. As a starting point, don’t miss our guide on timber species for cladding. Although reclaimed timber can provide incredible visuals and character to a building, they may not provide the same properties and durability as newly purchased and treated timber cladding. It’s important when using timber, especially for external projects, that the timber behaves as expected and will last the test of time. Old or reclaimed timber may seem like a good idea, but if the timber is rotten, or damaged, it may not produce the results you were hoping. 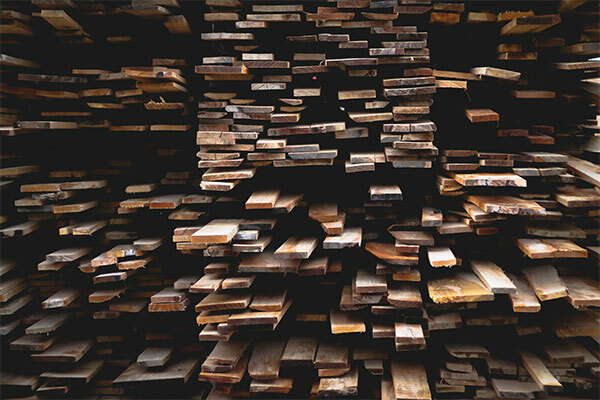 Reclaimed timber is still a great product, but it’s important to know where to use it – and perhaps garden sheds and furniture offer fewer risks than on external walls of a large commercial building. 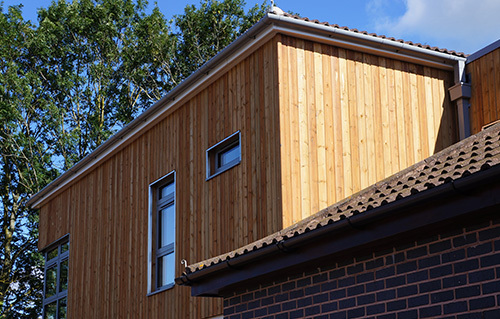 Modern timber cladding can be stained or painted to help offer more control over the appearance of the cladding. This is particularly useful when thinking about how the building will engage with the surroundings. Depending on the timber species, staining and treating the timber helps protect it and make it last longer. Timber is a low maintenance material but does require all the correct insulation and treatment to ensure it doesn’t rot, crack or degrade. For any questions regarding timber protection, please just get in touch and we’ll help offer any recommendations and support we can. Timber cladding can be leveraged as both an interior solution as well as an exterior one. For interior projects, modern timber cladding can be great at providing feature walls, stylish finishes as well as helping add character to a specific space. For interior use, the clean, precise lines and designs that can be achieved through cladding, allow architects to create very desirable interiors. As more modern homes and buildings turn to open plans, timber cladding can be great at helping to define spaces. Timber is so diverse in how it can be applied to interior design, it really does allow architects the freedom to create rooms and spaces that they dream up. For exterior projects, modern timber cladding offers architects a material that is durable but flexible, and able to provide professional finishes to buildings. Cladding can often help create a building façade that helps define the true character of that building. Similarly, it can also be used to blend the building into the local surroundings. Timber cladding, as an external building material, is often used to celebrate distinct shapes and patterns that would simply be too difficult to do in another material. All these attributes make it an architect’s favourite material. Timber cladding can also be used in conjunction with other materials. Whether it’s alongside stone, rock, glass, brick, or other timber, the way your building comes to life is in your hands. This means timber cladding can be used as much or as little on a building, and used for a specific purpose. Regardless of whether you’re using timber cladding for interior or exterior purposes, the way you can integrate it into a building is limitless. Some people prefer vertical cladding, while others prefer horizontal. Some people prefer sharp, distinct lines, while others prefer subtle, blended curves. There isn’t a specific way modern timber cladding is designed to be used, instead, it is a material that gives you full control over what you want to create. If you’re looking to create a modern building and want to use timber cladding, get in touch with us today. 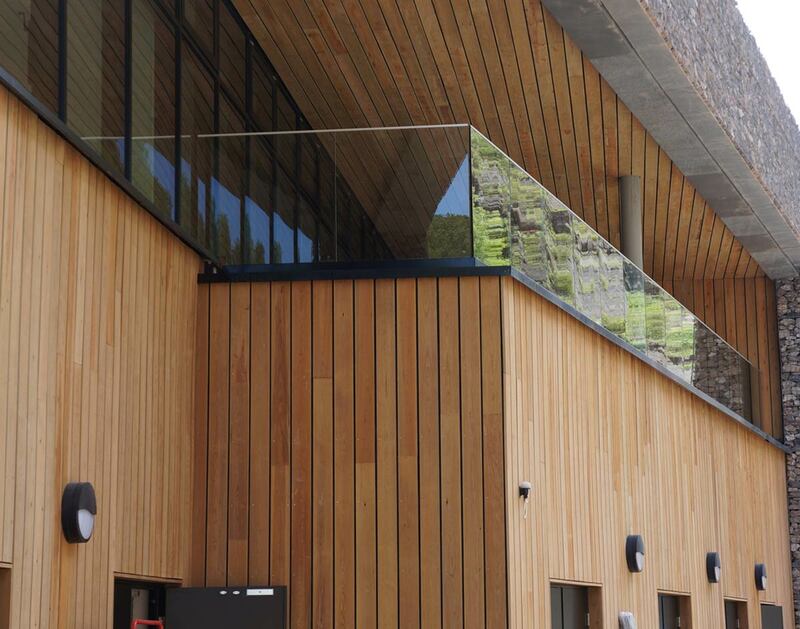 We believe that timber cladding is a fantastic option for anyone looking to create a modern and stylish building. We have a wealth of case studies and examples to help showcase how we can help you create a stunning building.